There are a wide variety of activities available in and around Cork City. We obviously cannot cover them all but here are some we have been to ourselves and can highly recommend that all visitors should try and get to. Fota Wildlife Park is a 75-acre (30 ha) wildlife park located on Fota Island just outside the city. Opened in 1983, the park is home to nearly 30 mammal and 50 bird species. Smaller animals, such as the ring-tailed lemurs and wallabies, roam freely with the visitors while larger animals, including the giraffe and bison, live in paddocks with barriers that are intended to be unobtrusive for visitors to view the animals in a more natural environment. Fota Wildlife Park also has red pandas, tapirs, siamang gibbons and other types of animals. 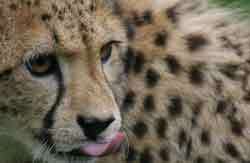 It is the largest cheetah-breeding facility outside of Africa. You can easily reach Fota by car or train. A tour of the Jameson Experience is a journey through the story and making of Irish whiskey. Guided tours are available throughout the year and all tours commence with an audio-visual presentation, retracing the history of whiskey in Ireland. Guests are then guided through the old distillery, where they can admire the old kilns, mills, maltings, water wheel, still house,distiller’s cottage, cooperage and warehouses. The sense of heritage is everywhere at the Jameson Experience. Some of the original buildings date back to 1795, built as a mill before being converted for use as a distillery. The water wheel, which once operated all the machinery at the distillery, still turns and operates the cogs and wheels in the Mill Building, where visitors can also admire one of the original steam engines installed in the later half of the 19th century. The Still House is always a tour highlight, the three original pot stills still gleaming like burnished gold. One of these pot stills, installed in 1949, can hold 31,000 gallons (141,000 litres), making it the largest pot still in the world. Visitors are then taken to the cooperage, where coopers used to make and fix casks and are shown a recreated warehouse, where guides explain the principles and importance of maturation. Tours end with a complimentary glass of Jameson, or for a lucky selected few from each tour, a comparative whiskey tasting, which compares and explains the differences between Irish, Scotch and Bourbon whiskies. Whiskey Tasters are rewarded with their own Whiskey Tasting Certificate. Visit Blarney to kiss the Blarney Stone and get ‘the gift of the gab’. The legend goes that the Earl of Leicester was commanded by Queen Elizabeth I to take possession of the castle. Whenever he endeavoured to negotiate the matter McCarthy always suggested a banquet or some other form of delay, so that when the queen asked for progress reports a long missive was sent, at the end of which the castle remained untaken. The queen was said to be so irritated that she remarked that the earl’s reports were all ‘Blarney’. Today visitors can climb to the op of the castle to kiss the stone. 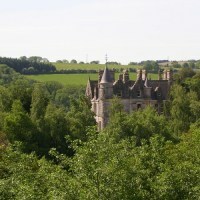 The castle is surrounded by magnificent gardens which you can take your time strolling around. After the castle pay a visit to the Blarney Woollen Mills where you will find a huge range of Irish hand-made products. Located at the edge of the city, this was originally one of two castles guarding the entrance to the harbour. These two castles can be seen on the Cork City Seal. A tour of the Universe using interactive floor-to-ceiling screens. An optical telescope that continuously searches for very short flashes of light that may be evidence for extraterrestrial intelligence. 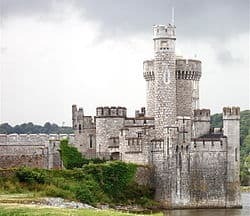 The castle already houses a team of astronomical researchers from Cork Institute of Technology who have been working on the exhibits and Ireland’s first robotic observatory. At the same time, the team are currently engaged in a number of astronomy projects. Officially know as “St. Anne’s” this church is simply known throughout Cork as Shandon. The bells were memorialised in song by Father Prout in the mid-1800’s. 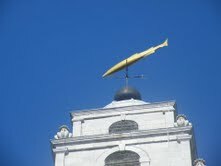 Visitors can now climb to the top of the tower both to see the view over the city and also to ring the bells themselves. There are two walking tours around the city that not only let you see the city at a relaxed pace but that also give you some history that you would not otherwise learn. Both these are run by good guides with a knowledge of the city. Discover how to Vikings and the Normans arrived in Cork and would continue to shape the city through the centuries. The tour is filled with many fascinating insights, not just of the Viking era but of the city itself. You will learn much of Cork city’s old history, in this spooky yet educational tour. You never know who you will meet in one of Ireland’s oldest cities. Keep your wits about you, or you might be the next tragic victim to join Cork’s army of other worldly spirits.